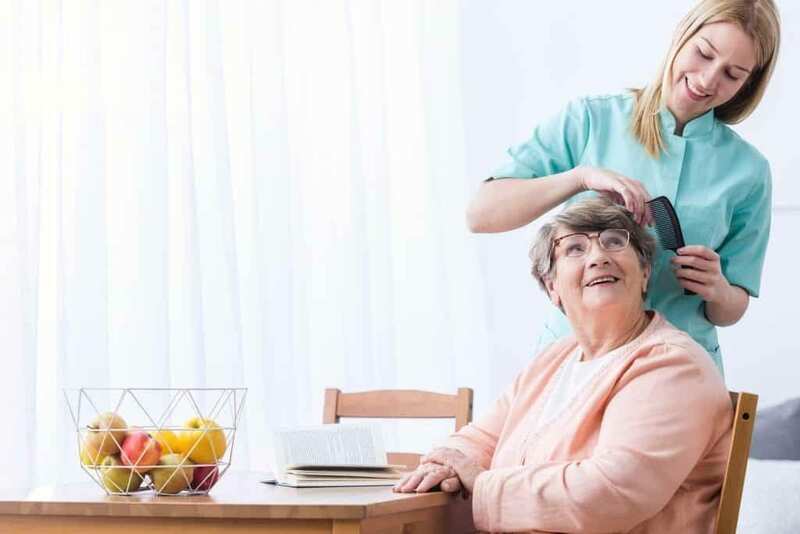 Certified Nursing Assistants perform basic patient care services to ensure the safety, personal hygiene, protection and comfort of patients in long-term care facilities. In the State of California, more than half of nursing assistants work in community care and nursing facilities where they attend to the needs of the elderly. They play a critical role in patient care as they assist with personal grooming, observing and monitoring patients, and attending to their daily needs, under the direct supervision of a licensed nurse. There are more than 160,000 certified nursing assistants in California, and according to the Bureau of Labor Statistics, the profession is expected to grow by 22.5% over the next decade, faster than the average of all occupations in the United States. If you’re interested in becoming a CNA in California, you must complete a state-approved nursing assistant program to learn the basic principles of nursing as develop practical skills through a supervised clinical rotation. California’s requirements for training is at least 160 hours, including 100 clinical training hours, which exceeds the federal minimum. NCNA’s Nursing Assistant Program prepares students to care for residents in nursing care facilities. The instruction takes place in the classroom as well as at a clinical facility. There are 150 hours in the program that allow instructors to cover 16 modules emphasizing various aspects of care, including body mechanics, nutrition, emergency procedures, weights and measures, medical-surgical asepsis, and patient care skills. The program adheres to California Department of Public Health Services (CDPH) guidelines enabling graduates to sit the Nurse Assistant Competency Exam conducted by the American Red Cross. Applicants must be 18 years or older, submit proof of high school graduation or completed GED, have a valid government-issued ID, submit an application for admission and application fee, have proof of good health, and complete TB screening. All nursing assistant students must undergo a Live Scan process prior to enrollment. Classes meet Monday through Friday from 8:30 am to 3:30 pm for 2 to 5 months. Graduates receive a certificate of completion that confirms their ability to provide quality patient care. The nursing assistant program at Providence Vocational Institute includes theory and clinical instruction to prepare students to care for residents in long-term care facilities. The program is available as a day or evening class. Both schedules run for six weeks. Daytime classes meet Monday, Tuesday, Thursday, and Friday from 9:00 am to 2:30 pm. Evening classes meet Monday and Wednesday from 5:00 pm t0 9:30 pm and Saturday and Sunday from 7:00 am to 3:30 pm. Clinical sessions are from 7:00 am and 3:30 pm. Interested persons must attend an orientation session, have valid state ID and a social security card, complete a physical with a chest x-ray or 2-step PPD, and immunizations, undergo a Live Scan fingerprint, have a high school diploma or GED, and be 18 years or older. Tuition for the program is $1,290. The registration is $75 and the textbook is $125.